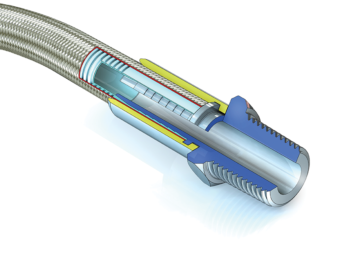 For more than 40 years Aflex Hose has been inventing, developing and manufacturing the widest, most technically advanced range of PTFE lined flexible hose products in the world. 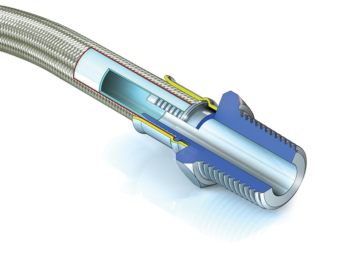 Pharmaceutical, Biotech and Chemical companies have standardized on Aflex Hose’s patented products as the best designed and most reliable choice for process fluids transfer in their manufacturing plants worldwide and more than a million cars, ATVs, trucks and motorbikes on the roads today include one or more Aflex PTFE hoses. Smooth bore hose. 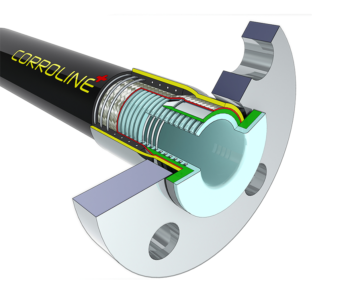 The patented liner provides unequalled flexibility, kink resistance and high fluid flow rates. 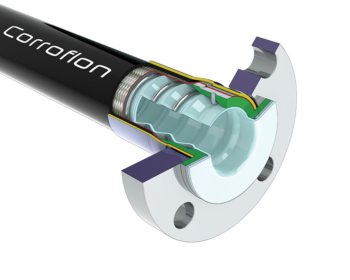 Available up to 3″, 75mm bore with various braid and rubber cover design options, with standard or PTFE lined and flared end fitting designs. Smooth bore hose. The patented liner provides unequalled flexibility and kink resistance. 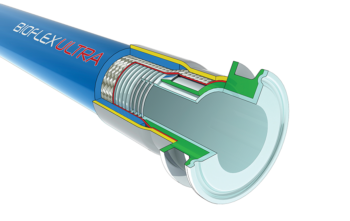 Available up to 3”, 75mm bore, with or without a SS wire braid, with a silicone rubber cover. Smooth bore hose. The patented liner and reinforced design withstands physical abuse. Available up to 3″, 75mm bore, SS wire braided with a black EPDM rubber cover. Convoluted bore hose. Reinforced to provide the most flexible and kink proof hose available. Available up to 6”, 150mm bore with various braid and rubber cover design options, with standard or PTFE lined and flared end fitting designs. 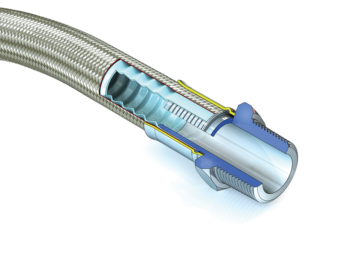 Smooth bore hose, with a straight PTFE tube liner, standard and heavy PTFE tube wall thicknesses. Available from 0.1”, 2.5mm bore to 1”, 25mm bore with SS wire braid and rubber or plastic cover design options. Best for most automotive and general purpose applications. Usable at high pressures. Smooth bore hose. The patented liner provides unequalled flexibility and kink resistance. Available from 1/4″, 6mm to I”, 25mm bore, SS wire braid or aramid fibre braid, and cover options. Best for all applications where improved flexibility and kink resistance are required. Convoluted bore hose. 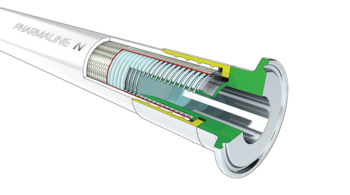 The convoluted PTFE liner tube provides excellent flexibility. Available from 3/8”, 10mm bore to 2”, 50mm bore, SS wire braid. Best for all applications where a smooth bore and/or high pressures are not required.